The Crawford Fund’s Doing Well by Doing Good Task Force released its findings on 17 December, and it will now be the focus of a major advocacy and media effort to explain the benefits to Australia from international agricultural research. The report and a summary can be downloaded below. Hard copies of the report can be obtained by contacting our central office. 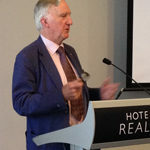 The Crawford Fund has always promoted that Australian development assistance programs in agriculture and related sectors should retain their primary purpose of assisting economic and social development in the developing countries, in accordance with Australia’s nation interests. But in addition, and without detriment to this purpose, we’ve argued that they can deliver direct and indirect benefits to Australia. Now the report has substantiated our contention with sound argument and independent analysis. The task force drew upon independent impact assessments and a national consultation so that the resulting report embodies inputs and experiences from policy makers, farmers, scientists, researchers, extension workers and others involved in domestic and international agricultural research. 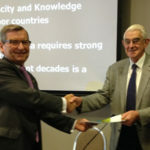 that the Australian Centre for International Agricultural Research (ACIAR), through which most of Australia’s aid-funding for agricultural research is provided, align its portfolio more closely with Australia’s national primary industries RD&E frameworks in order to draw on a wider range of Australian expertise and interests, to enhance the benefits to both developing countries and Australia. that ACIAR supplement its current impact assessment efforts by including measurements of the strengthening effect that participation in international agricultural research has on Australian institutions. that funding for Australia’s international agricultural research should grow at least at the pace of inflation and that more should be done to explore greater private sector participation in international agricultural research. Feedback on the report is most welcome and can be sent through to our Chief Executive.